On this episode of the podcast (much delated due to home construction projects) we talk to journalist and author David Gumpert about the controversies surrounding raw milk. David was a staff reporter with The Wall Street Journal and a small business editor of the Harvard Business Review. He was also a senior editor of Inc. David is the author of Life, Liberty, and the Pursuit of Food Rights, The Raw Milk Revolution: Behind Americas Emerging Battle Over Food Rights and the Raw Milk Answer Book. You can find his blog and sign up for his newsletter at The Complete Patient. One of the things that comes up in the conversation is the dairy episode of the Netflix documentary Rotten. David posted a review of that episode on his blog. If you’d like to leave a question for the Root Simple Podcast please call (213) 537-2591 or send an email to [email protected]. You can subscribe to our podcast in the iTunes store and on Stitcher. Closing theme music by Dr. Frankenstein. A downloadable version of this podcast is here. 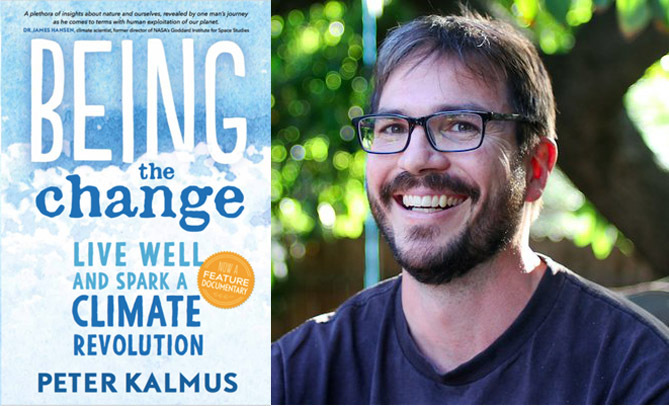 On this episode of the root simple podcast Kelly and I speak with climate scientist Peter Kalmus, author of Being the Change: Live Well and Spark a Climate Revolution. Peter was a guest on episode 39, but we thought we’d bring him back because much has changed in climate science and, spoiler, it’s pretty scary. But there’s also some hopeful things to talk about including Peter’s new book. Peter’s website is beingthechangebook.com and you can interact with him on Twitter @climatehuman. You can reach Michael via his Facebook page and his email is [email protected] Apisoir, apisoir, apisoir! I have a rule about Root Simple content that I call the three “Ps:” keep all posts practical, positive and peaceable (by peaceable I mean non-divisive). This is not to say that I think that we should all put our heads in the sand and ignore the important issue of our time. But if you want strife and conflict there’s plenty of options, especially on the web, and I don’t need to add my voice to the din. But on the other hand, we do know what to do. And often what we need to do are precisely those things that seem irrelevant. The heart says yes to them, but the mind says how could that possibly help? How could it possibly help to spend ten years trying to free one orca from captivity? How could it possibly help to spend ten years taking care of one old woman with Alzheimer’s? The things that draw us, our world story does not have a place for them, so they seem impractical, they seem unrealistic or naïve. But when we understand the deep root of the crisis, which is the totality of the story of separation that surrounds us, then we see that yeah, these are actually essential, because they change the foundation of the world-destroying machine . . .
On a personal level, it’s almost a cliché, but bringing more love into the world. And also on a community level, also through what you devote your life energy toward. If it doesn’t fit into the story of separation, if it’s dedicated to bringing beauty, love compassion…..this is not news to anybody, right? But I guess the reason I’m saying it is to illuminate the political dimension of it. And maybe that’s what the song is. To listen to what is beautiful, to what calls to your heart. Maybe that’s the organ that listens to the song, that guides you to do things that the mind, which is still lost in the maze, may not recognize as relevant, but which is actually our path to that more beautiful world that we remember and recognize and carry with us. In between working on that unsuccessful and angry blog post I was finishing the dovetailed drawers I had constructed over the holidays. Rather than wasting time trying to fight Facebook I could have been writing up a post about those drawers. As Eisenstein suggests, perhaps its time to do the things that don’t make sense and that don’t seem important: pursue beauty, grow something, build something. Stay tuned for a post on those dovetails . 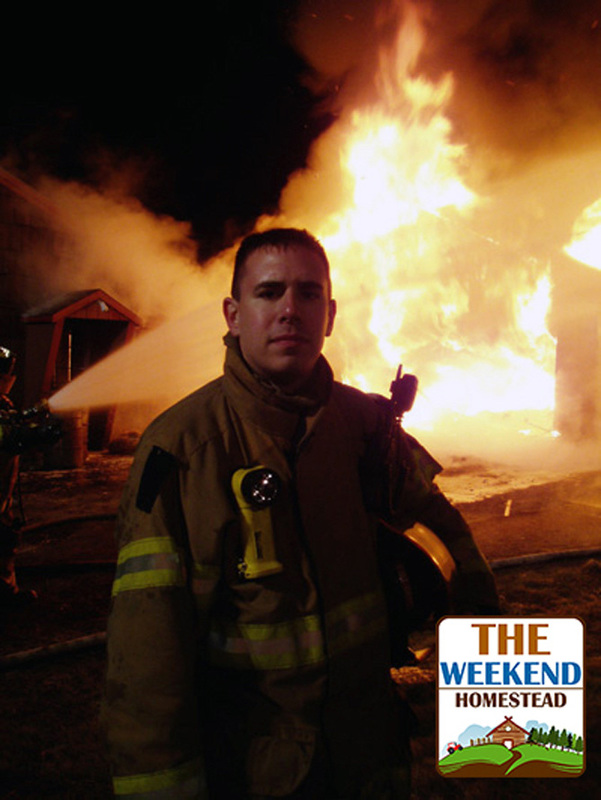 . .
Christmas fire safety–keep that tree watered! You can find The Weekend Homestead on YouTube, Instagram, Facebook. If you’d like to leave a question for the Root Simple Podcast please call (213) 537-2591 or send an email to [email protected]. You can subscribe to our podcast in the iTunes store and on Stitcher. The theme music is by Dr. Frankenstein. Additional music by Rho. A downloadable version of this podcast is here.